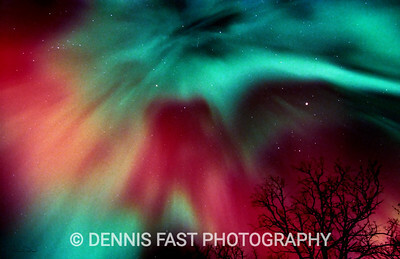 Northern Lights (aurora borealis) never cease to amaze me. I know the scientific explanation for them, but they make me want to believe in magic and that they are dancing just for me! On this night, I think they were!! 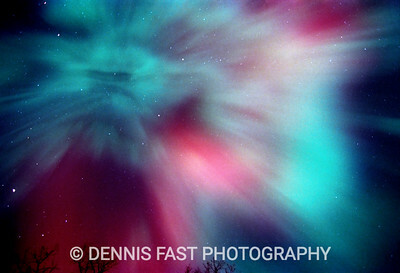 NORTHERN LIGHTS CORONA. Only twice in my life have I seen aurora as blood-red as this. If you ever see it, you will never forget it! Although we think of aurora as happening in the far North, this "cloud" of red actually appeared well to the Southeast of Southern Manitoba where I live. 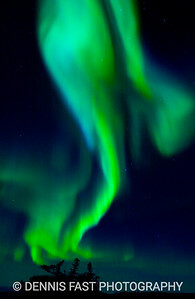 DANCING AURORA. 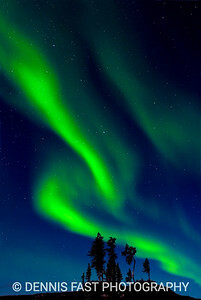 Aurora most often appear as shimmering curtains of green. Sometimes they dance in one place for many minutes, while at other times they snap across the sky like curtains in a stiff breeze. 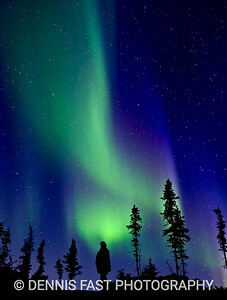 NORTHERN LIGHTS SPECTACULAR. 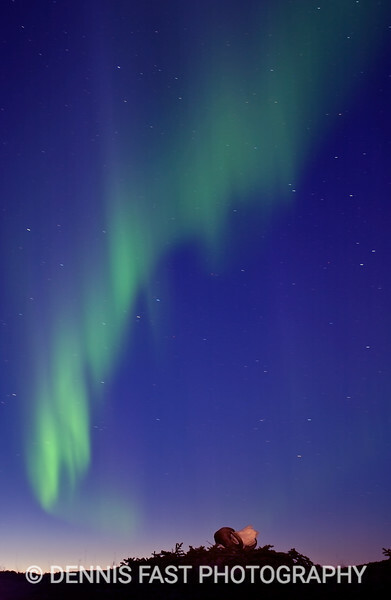 Nothing is more mesmerizing than a shimmering curtain of light in the northern sky. When the show lasts for hours, as it sometimes does, it's difficult to go to bed. NORTHERN LIGHTS LANDSCAPE. Some of my favourite aurora photos were made over this muskox skull in the Northwest Territories of Canada. When I saw this scene unfold in the distance, I ran as fast as I could to to get the skull into the photo with the swirling northern lights. MUSKOX SKULL & AURORA. 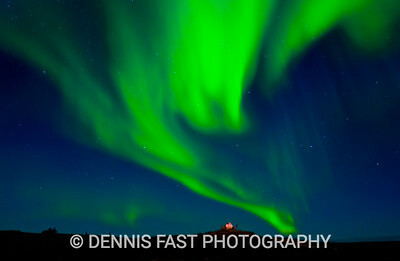 I love the effect of some sunset colour combined with the sweep of the northern lights. This photo was made very late at night, but, in the arctic summer, some sunset light lingers on the horizon through most of the night. AURORA BOREALIS LANDSCAPE. In this shot, I lit up the muskox skull with my headlamp for about half the exposure just to make it stand out more. The skull provides a tremendous sense of scale for the sweeping aurora. NORTHERN LIGHTS CORONA. I stayed up all night for this spectacular aurora display until the sunrise light forced the colour from the sky. The explosions of light from a central point straight overhead changed in hue and intensity every few minutes. It was an unforgettable experience. 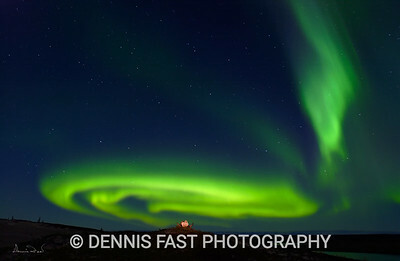 I love the effect of some sunset colour combined with the sweep of the northern lights. This photo was made very late at night, but, in the arctic summer, some sunset light lingers on the horizon through most of the night.